The ADR-4TTX range of ADSL2+ routers enables high speed Internet access for several users with a complete choice of options for Ethernet port density, wireless WIFI and telephony. ADR-4TTX complies with the latest ADSL standards and it is compatible with most DSLAM's and especially CXR ones - DSF-2048 and DSL-2000. 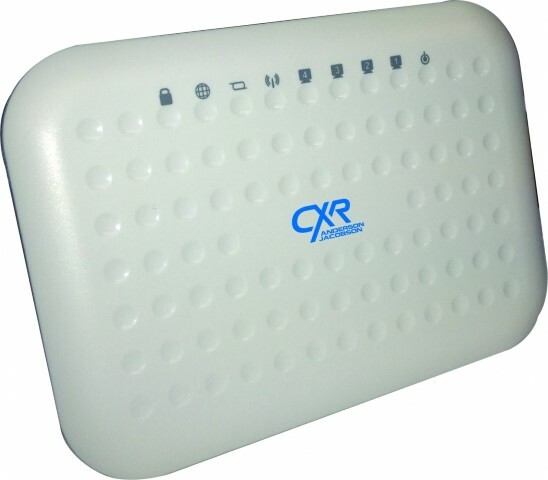 It embeds an ADSL2+ G.992.1/2/3/4/5 modem that operates at 24 Mbps downstream and 1 or 3.5 Mbps upstream speeds. Several users can share the Internet access through 4 Ethernet ports or the 802.11b/g/n WIFI access point. It delivers two FXS voice interface for Voice over IP communications. ADR-4TTX delivers safe Internet access with security functions such as authentication, address translation, statefull packet inspection, address filtering, and attack protection.